Stocks have been on a rollercoaster ride since early October when Fed Chairman Powell told the market that neutral interest rate levels were a “long way away” from the current rate. And while Mr. Powell reversed course last week, the damage had already been done to a market weary of tariffs and shaken by ever starker housing numbers. More and more the so-called FAANG stocks, Facebook (NYSE: FB), Amazon (Nasdaq: AMZN), Apple (Nasdaq: AAPL), Netflix (Nasdaq: NFLX) and Google (Nasdaq: GOOGL, GOOG) have an outsized impact on the overall market. At one point last week these behemoths had lost over $1 trillion in market value from their recent highs. The FAANG stocks now make up a massive percentage of the Nasdaq Composite Index. Even after the recent sell off, they are still over 35% of the index. And if we add in Microsoft (Nasdaq: MSFT) we get to well over 45% of the Nasdaq Index being represented by just 6 stocks. And it is not just the Nasdaq that is overly impacted by these few stocks. As of July of this year, these six stocks represented an unbelievable 98% of the returns of the S&P 500. At that time the S&P was up 4.4%. Investing in a market index is meant to give your portfolio diversification over a range of stocks. The Nasdaq is known to be technology focused and is often called a tech index, while the S&P is a broad index meant to represent a wide range of companies. But the shear size of the FAANG stocks and Microsoft have made these indexes much less diverse. The overrepresentation of these six stocks is a major issue for investors who hope to diversify their investments by way of the indexes. There is a false sense of diversification, and as we saw in October, the impact of scandals at Facebook, projected slowing iPhone sales, and increased competition in streaming video, had major impacts on the overall markets due to just a few stocks. If you want true diversification in your growth portfolio it is necessary to find individual stocks with good growth prospects. The following are three stocks that I believe should outperform the non-diversified indexes moving forward. Vericel is capitalizing on two strong trends. An aging population and the trend for improved health through exercise. Both trends have the side effect of deteriorating or damaging the cartilage in our knees. MACI, the company’s cartilage replacement technology, removes a small amount of tissue from the patient, and then grows new cartilage which is then implanted in the patient. The process has two major advantages over previous solutions. Since the tissue is the patient’s to begin with there is less chance of rejection of the new cells. And, because of this, there is less need to provide immunosuppressive therapy necessary when a foreign solution is placed in the body. In clinical tests MACI has also shown improved recovery time over the incumbent solution. In addition to the cartilage replacement market, Vericel provides a product that helps severe burn victims who need to regenerate damaged skin. As with the cartilage solution, Epicel takes a small part of the patient’s skin that it then uses to grow additional skin. Both products have proven superior to the current solutions on the market, and sales of both products have begun to takeoff, making now a great time to pick up the stock. While the company is not yet profitable, in its most recent earnings release on November 6th, it grew revenue 58% year-over-year. MACI revenue grew 66% and Epicel 36%. The company also raised estimates with the earnings release, and is expected to grow earnings 82% next year. In addition to the great earnings report, which lifted the stock, CEO Nick Colangelo has said the company plans to expand the MACI product beyond knee cartilage to ankles, shoulders and hips. The expansion will grow the company’s addressable market at a time when the product is already in high growth mode. 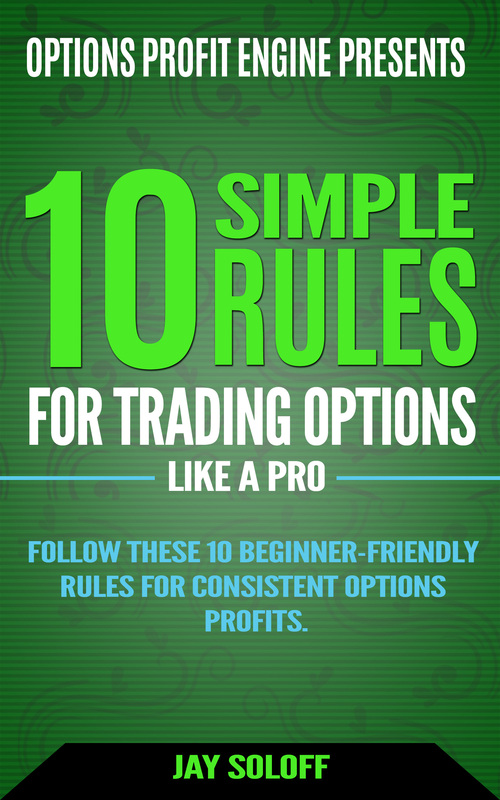 This is another catalyst that argues for entering the stock sooner rather than later. pdvWireless is a provider of secure private networks to utilities, municipal transportation, railroads, airlines and other enterprise and industrial critical communications. The networks provide narrowband communication capabilities for critical communications often in areas where normal communications networks are not available. I’m bringing PDVW to your attention now because the private communication networks provided to these specialized users are poised to undergo a major shift from narrowband to broadband. There are two catalysts driving this change. Second, the frequency used for these networks, 900 MHz, is expected to undergo a major FCC regulatory overhaul very shortly. This will put in place the regulatory structure necessary to expand the narrowband services to broadband. If successful, the new regulatory scheme should lead to a boom in the transformation of these networks, which in turn should drive the stock of pdvWireless higher. In its latest earnings release CEO Morgan O’Brien stated that he believes the new regulatory structure is imminent based on the fact that the FCC has frozen applications in the spectrum, a common practice when new regulations are about to be announced. And, there have been positive comments from both the FCC Commissioner and the head of the President’s Economic Council, that seem to imply the new regulations will favor the pdvWireless position on expanding spectrum use. 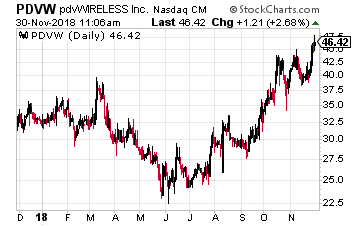 With earnings projected to grow close to 26% next year, a positive regulatory ruling, combined with pent up demand, should propel pdvWireless higher. Ceragon is a leading provider of wireless backhaul for the communications sector. Ceragon’s customers include major carriers AT&T (NYSE: T), Sprint (NYSE: S) and T-Mobile (Nasdaq: TMUS) in the U.S., Deutsche Telekom (OTCMKTS: DTEGY) in Germany, Reliance Jio and Bharti Airtel in India, and Telcel in Mexico. Ceragon provides extra capacity, or backhaul, to these providers by way of both fiber optics and wireless solutions. The backhaul market is expected to grow at 13% annually over the next four years. Ceragon is being driven by two catalysts. One, the continued build out of infrastructure in emerging markets, and two, the coming build out of the 5G network. Ceragon makes almost one-third of its revenue from India. The Indian market is growing at 16% year-over-year and has one of the highest smartphone growth rates in the world. Ceragon will continue to benefit from this growth providing wireless backhaul to Indian telcos. Ceragon should also benefit from the global rollout of 5G. 5G requires a denser network and more point-to-point communication than the current 4G network. This densification will require the support of backhaul services like those provided by Ceragon as the networks come online. Ceragon’s backhaul technology platform is believed to be one of the fastest among its competitors, which should give it an additional advantage as the 5G networks are built out. In its latest quarter Ceragon grew sales 72% quarter-over-quarter, and the company is expected to grow earnings 34% this year. 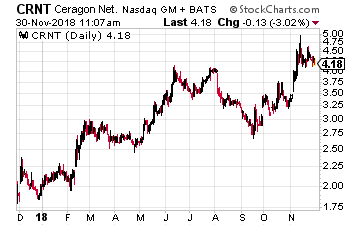 The combination of growing emerging markets along with the coming 5G build out makes Ceragon a growth story to invest in now. 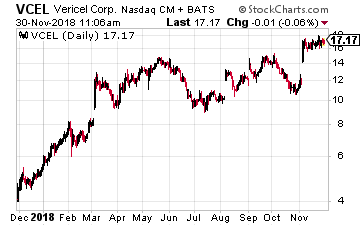 Vericel, pdvWireless, and Ceragon all offer an alternative way to diversify your growth portfolio in what has become a non-diversified index world.